Bruce covered the song 15 times. 14 times in 1974 and one time in 1997. One show, double bill, with Springsteen and band headlining and local outfit Goose Creek Symphony opening. One show, double bill, with Springsteen and band opening for headlining Texas blues guitar legend Freddie King (and his band). Critic Jerry Gilbert attended both shows and wrote a lengthy, highly detailed review of the night's events that appeared a couple of weeks later in Sounds magazine. One show, with Springsteen and band headlining a capacity crowd of 1,500 and western swing band Alvin Crow & The Pleasant Valley Boys opening. An attendend remembered : "I remember there were four encores and the last song he played was "Let The Four Winds Blow" and he yelled out "somebody get me a cheeseburger" at the end". One show, with Springsteen and band headlining and western swing band Alvin Crow & The Pleasant Valley Boys opening. Two shows, double bill, with Springsteen and band headlining and Mighty Joe Young opening. One show, double bill, with Springsteen and band headlining and Buzzy Linhart opening. two shows, double bill, with Bruce Springsteen and the E Street Band opening for headliner Bonnie Raitt. Earliest appearance of the name "The E Street Band" in his introduction. From an historical standpoint this show was important for the wonderful performance of "A Night Like This" (often referred to by collectors by the title "Dance On Little Angel" or Bruce’s original working title "Angel Baby"). Springsteen, identifying it as "a new song" but not mentioning the title to the crowd, Although "A Night Like This" bears no common melody or lyrics with "4th Of July, Asbury Park (Sandy)", the two are stylistically similar and set along the summer Jersey shoreline. Most of all this 100-minute show was recorded by WMMS-FM in Cleveland, then edited to fit into a 60-minute time schedule and broadcast for the first time on June 5 at 10.00pm -11.00pm. During the show that was the public performance debut as E Street Band members for Max Weinberg and Roy Bittan. Springsteen performed "Let The Four Winds Blow" as encore. Springsteen guests (guitar/vocals) on five songs with guitarist James Intveld’s band Jimmy & the Gigolos.
" 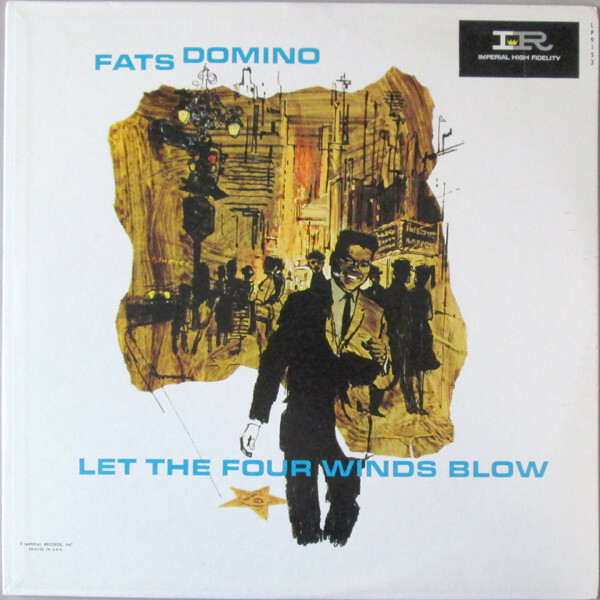 Let the four winds blow" is a song recorded by Fats Domino (1961) and taken from the album "Let the four winds blow".